What is the Living Lab approach? 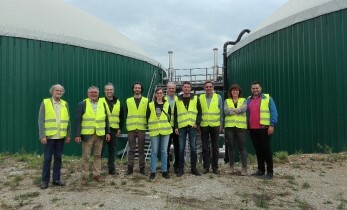 The SYSTEMIC project’s vision for Anaerobic Digester (AD) plants is for them to become catalysts for the valorisation of biowaste, in a context of multiple technologies recovering nutrients, organic matter and water from digestate being implemented. The five SYSTEMIC demonstration plants have already proven that this is possible. The project aims to facilitate regional collaborations and partnerships, as well as an efficient knowledge and experience exchange among demo plants, local farmers and industries, technology developers, practitioners and scientists. This concept can only contribute to an environmentally, economically and socially sustainable circular economy as long as it is transferred to other AD plants across Europe. It is this transfer of a circular business case of Nutrient Recovery and Re-use (NRR) from one biogas plant to another that constitutes the SYSTEMIC Living Lab approach. Setting up Living Labs has required the involvement of the five SYSTEMIC demonstration plants and the selection of ten additional European, large-sized AD plants as outreach locations. All of these have a strong interest in the opportunities created by NRR and are keen on exploring how they could turn into a sustainable and profitable way of preparing their businesses for the future. All outreach locations offer excellent opportunities for the implementation of NRR technologies, enhancement of existing NRR technologies and/or optimisation of their business case. The ten outreach plants cover: all relevant feedstocks; manure, mostly combined with digestion of various other agro-industrial and municipal organic waste streams; sewage sludge; and slaughterhouse waste. The outreach plant Atria (Finland), part of the project consortium, is a forerunner among the outreach locations. The ten outreach locations were selected from a larger group of interested AD plants, the remainder of which were offered the possibility to remain connected to SYSTEMIC as associated plants. These plants can attend workshops and meetings organised with the outreach locations and will be asked to bring in their experiences of nutrient recovery of biomass streams. Interested European biogas plants can still join the project as associated plants. This process is an intensive learning experience which requires adaptation of the concept to take account of variables such as social environment, economic feasibility, regional legislation, choice of technologies, and market characterisation to fit the case of the outreach location. As a first step SYSTEMIC, will develop a business case with nutrient recovery from digestate for each outreach location and disseminate the developments, learning process and final results. The business cases will be based on scientific knowledge, information and experiences from the demo plants, associated plants and industrial partners, as well as the end users of the recovered products. This will result in three Living Lab meetings throughout the duration of the project, bringing together demo plants, outreach locations, associated plants, project and industrial partners. Each meeting will provide a networking opportunity and include updates on the project’s development and intermediate results, presentations of plant owners and extensive discussion sessions. The first Living Lab meeting took place on 22-23 February 2018 in Amsterdam, the Netherlands, and brought together five demo plants, nine outreach locations and two associated plants. The meeting included visits to the waste-water treatment plant Waternet (outreach location) and the factory of ICL fertilizers Europe (partner in SYSTEMIC). Waternet already produces struvite from digestate and has the ambition to increase the amount of recovered phosphorus substantially. ICL fertilizers is a frontrunner in using recovered mineral nutrients as feedstock for high-grade granulated fertilisers. The second Living Lab meeting is foreseen for the first quarter of 2020 and the final one for April 2021. In between the Living Lab meetings, SYSTEMIC partners will stay in close contact with the outreach locations to continue developing their new business cases with NRR. All SYSTEMIC plants are encouraged to visit each other in order to gain deeper knowledge of existing technologies (see an overview of the technologies available at the SYSTEMIC plants) and business cases, as well as to exchange experiences. Such Living Lab visits are initiated by either the plant owners or the SYSTEMIC consortium and seven have already taken place since the first Living Lab meeting in February 2018. 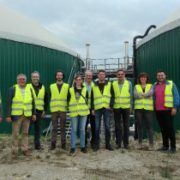 Living Lab visits to be organised by the SYSTEMIC consortium in the future include: the demo plants AM-Power (Belgium), Groot Zevert (the Netherlands), Benas (Germany); the outreach plants SCRL Kessler (Belgium) and Biogas Bree (Belgium); and the associated plant Arbio (Belgium). All SYSTEMIC plants are kept up-to-date about intermediate project results, development of the business cases with NRR for the outreach locations, news from the sector, learning experiences gained from the Living Labs via an exclusive newsletter for outreach locations and associated plants. Any European biogas plant interested in receiving this newsletter and attending site visits can get involved as an associated plant.